Legend has it that a reporter once asked famed bad guy Willie Sutton why he robbed banks. Sutton frowned, as if he couldn’t believe the answer wasn’t obvious. “Because that’s where the money is,” he said. Sutton’s rationale was obvious to the authors of the Graham-Leach-Bliley Act of 1999. The law seeks to hold financial institutions responsible for the nonpublic personal information entrusted to them. Penalties for improper disclosure of such information may range up to $100,000 for each violation. 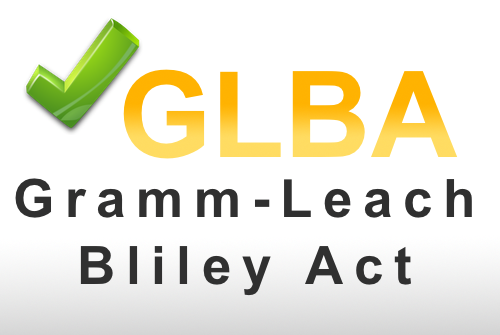 GLBA: It’s more than just a privacy notice. Given that information technology is central to supporting the mission of each of these industry segments, GLBA has serious implications for IT providers, whether internal IT departments or third-parties. The law requires institutions to establish and enforce meaningful standards to safeguard client personal information. Specifically, the Safeguards Rule requires them to develop a written security plan that describes how the company protects their clients’ nonpublic personal information. The rule applies to both current and former customers, regardless of what particular product or service that customer purchased. Specify at least one employee to manage the safeguards. Conduct a thorough risk analysis on each department handling the nonpublic information. Develop, monitor, and test a comprehensive security program. Protect against any reasonably anticipated threats to the security of such data. Protect against unauthorized access to such data that would result in substantial harm or inconvenience to any customer. Develop, enforce, and monitor a comprehensive change management program, and demonstrate that the program can adapt to changes in the information technology industry, and the threat landscape inherent within it. SLPowers can get you there. Our exclusive CTM technology framework is especially effective in supporting regulated clients. And we bring a second set of eyes to the table. Compliance experts from our partner company, True Digital Security, will join us in evaluating the current state of your environment and mapping out a remediation plan to assure safe passage through the regulatory process. Two companies. Two teams of compliance experts. One outcome: Regulatory peace of mind.